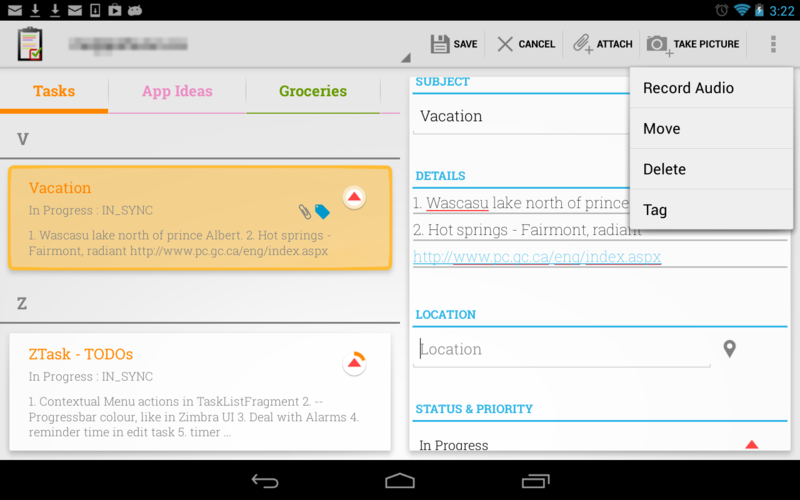 ZTasks brings the full Zimbra Tasks experience to your Android smartphone or tablet. 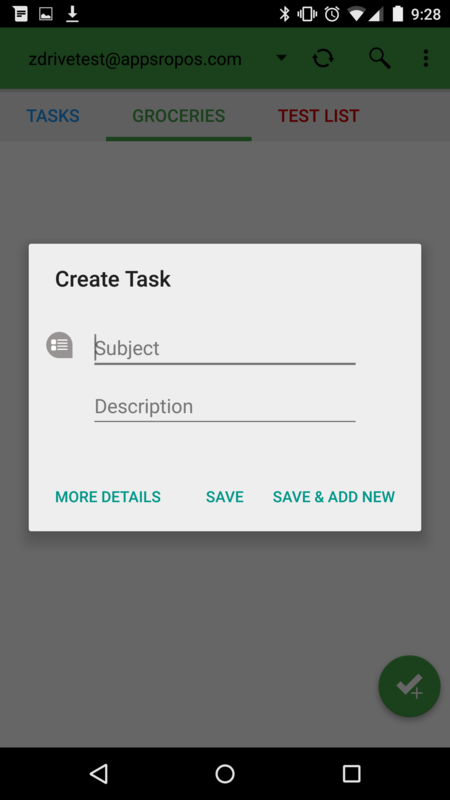 ZTasks is fun to use and comes with many powerful features including full text search, sorting and filtering, sharing, publishing, and much more! ✔ Access your data anywhere, any time - ZTasks seamlessly syncs your tasks from multiple accounts with your Zimbra collaboration server, so you can access your tasks from anywhere and on any device. 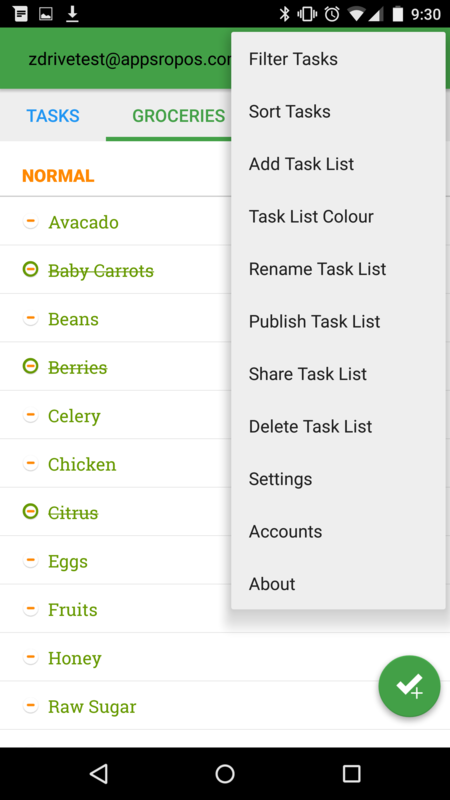 ✔ Innovative Sorting and Filtering - Sort your task list by any way imaginable. 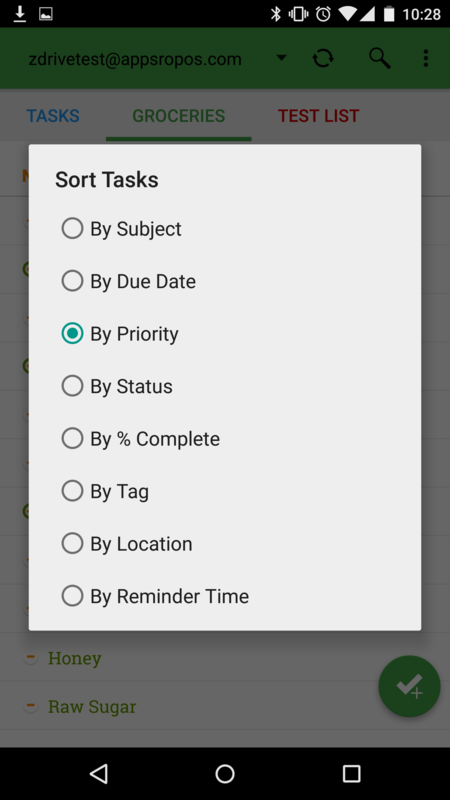 Filter your task lists to quickly find the tasks that matter the most. 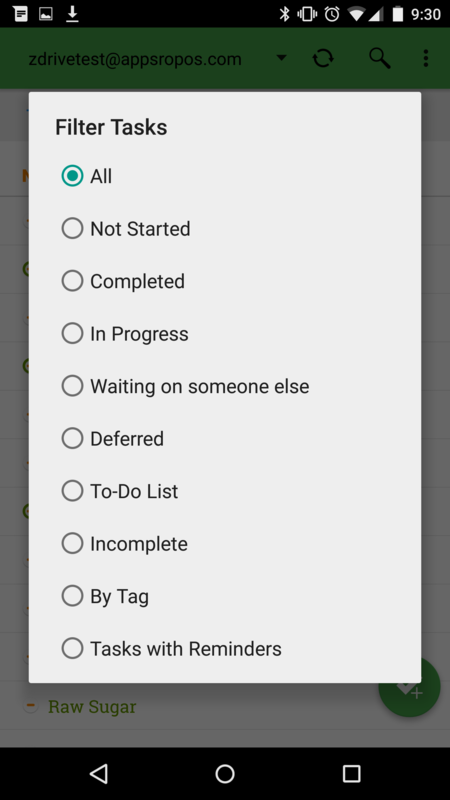 ✔ Tags - Tag your tasks, then sort and filter your tasks with them. 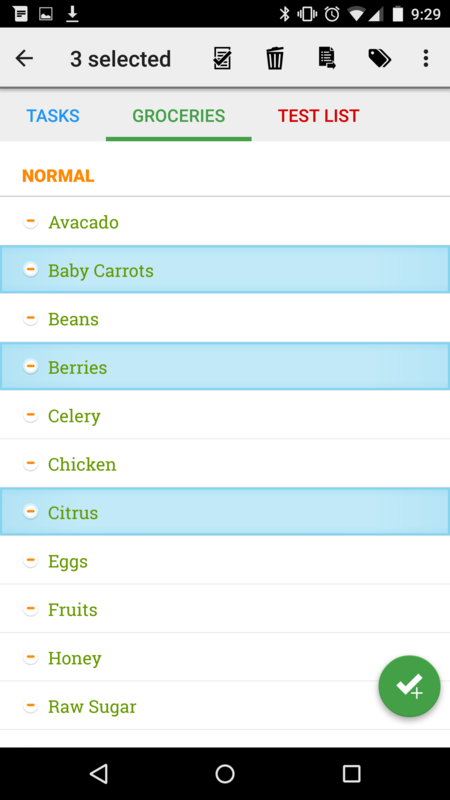 ✔ Colored Lists - Use color to distinguish and prioritize your task lists. 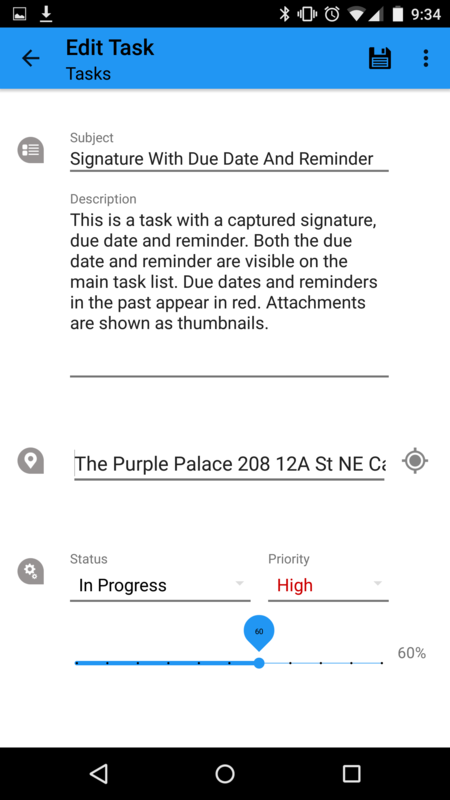 ✔ Attachments - View attachments you have added to tasks and download them to your device. 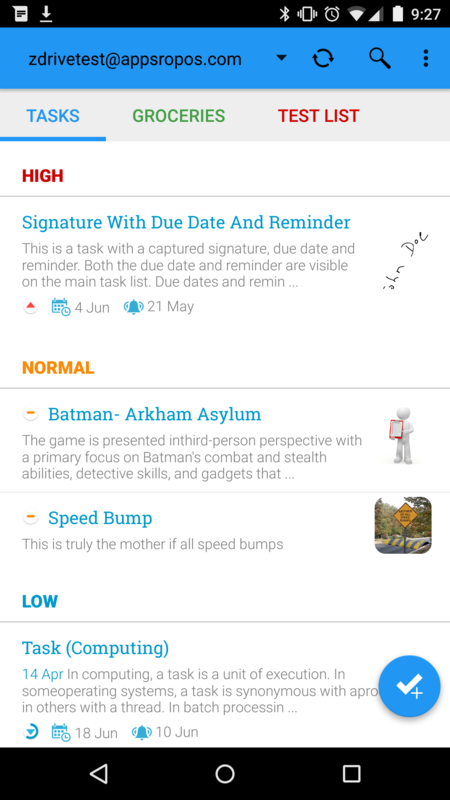 ✔ Share - ZTasks integrates into the Android sharing system, so you can share your tasks and lists with other apps on your device. ✔ Publish - Publish your task list and collaborate with other users on your server. 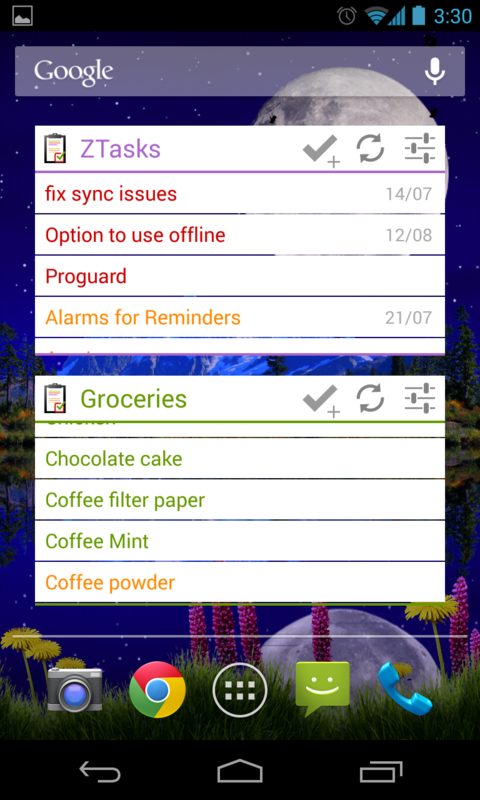 ✔ Notifications - Get notified of task reminders on your phone or tablet. 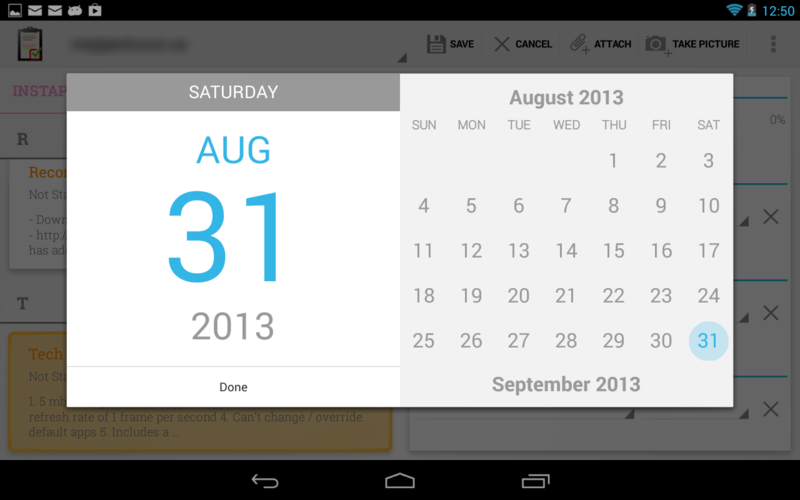 Create reminders on your mobile device and get them on the web interface. ✔ GeoTagging - Quickly tag your tasks with your current location. 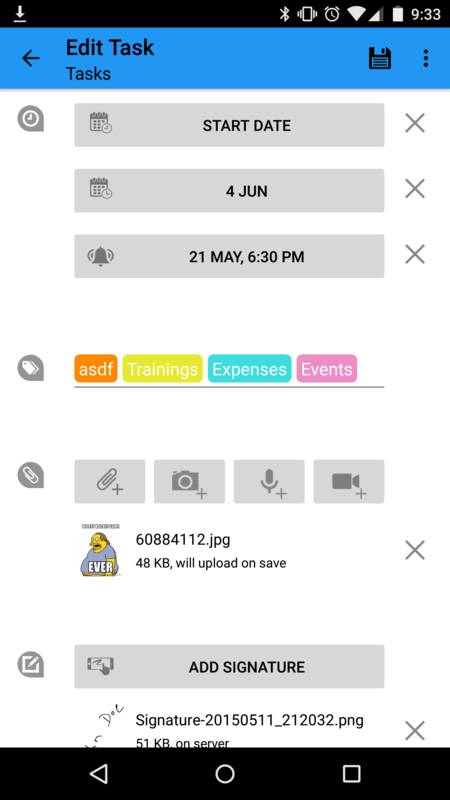 ✔ Attachments - Attach any number of files from your phone to a task. Take pictures or record audio clips and attach them to a task. The app has been tested to work on both community and network editions of Zimbra version 6 and up. Does this client show tasks in shared tasklists as well?